Many of us spend the vast majority of our day at our desks, whether we want to or not. Now, more than ever, we are sedentary and are struggling to find time to keep active. Sure, you can head to the gym before or after work, but many of us are looking for something more. Why not work and burn calories simultaneously with an under desk elliptical? We’ve tried out and reviewed the best trainers on the market today, bringing you the top of the top. What are you waiting for? Let’s get to moving! 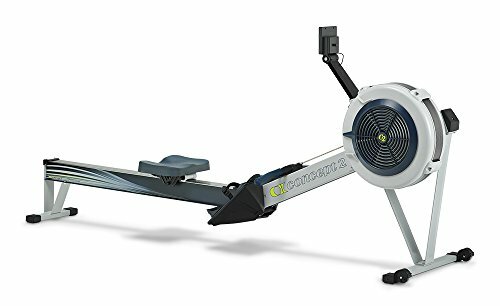 For more of my recommendations, have a look through these popular Women’s Workout guide links: Spin Bikes, Recumbent Bikes, Rowing Machines. We’ve reviewed the top rated under desk ellipticals (in our humble opinion), followed by a comparison table and buying guide to help you decide on workout rope that will work best for you. Desk Height Needed: 26" 27" 27"
The Stamina InMotion E1000 Compact Strider is a great substitution or addition to a full-sized elliptical machine or treadmill and our Editors Choice for the best under desk elliptical. We know that most don’t have the luxury of being able to work from the gym, and even those who do, most likely don’t due to it being downright difficult or inconvenient. This one is highly compact and portable, making it easy to take to-and-from the office as you please. Coming in Silver, Green, and Orange, they look quite trendy, too. Use it how you want – sitting or standing, forward or reverse. The multi-function monitor tracks your progress, and has a scan function so you can also have your previous workout stats available to you, periodically. The intensity is controlled by twisting the tension knob. It doesn’t make any obnoxious cranking noises, either. Operation is extremely quiet, and perfect for work settings. The textured surface of the pedals keeps your feet in place, so you don’t feel limited in how fast you go. 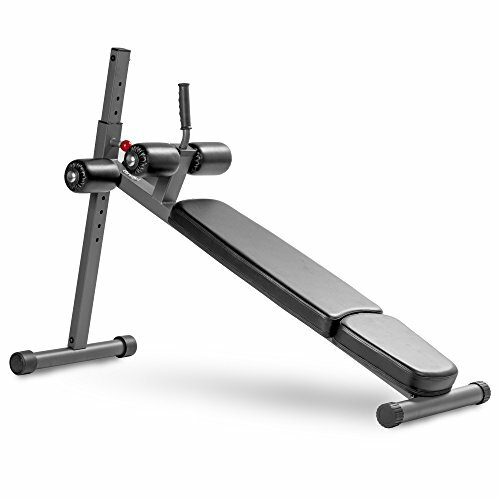 The sturdy steel construction lasts surprisingly long despite being so lightweight, and overall, is an excellent way to improve stamina, muscle tone, and overall health. The DeskCycle is an ultra-convenient machine designed to help keep you in shape or improve it, while staying perfectly quiet for use in office settings, and maintaining a certain level of quality few can compare to. The lowest pedal height is under 9.5 inches, working perfectly for most people on desks as low as 27 inches. The balanced flywheel complete with a twin belt drive gives not only whisper-quiet operation, but performance rarely seen in competitor products. 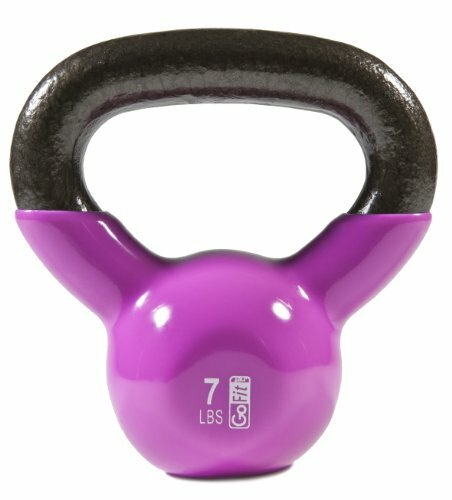 The 8-position magnetic resistance allows you to change up your routines, increase the difficulty as you get fitter, and is perfect for any fitness level. The display meter can be either mounted on to the cycle, or removed for easy desktop use. Large pedals will make sure you’re not searching around trying to get your feet in the right place, and are also comfortable to just rest your feet on while not in use. 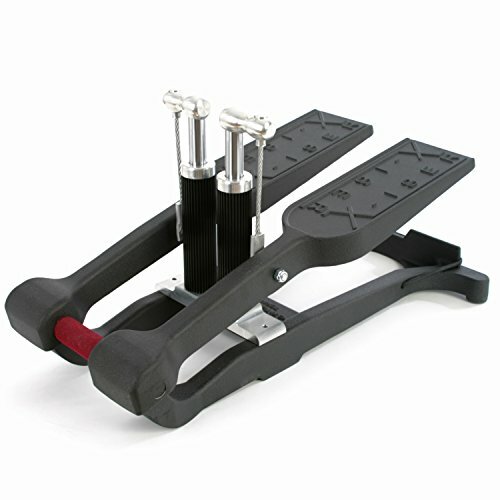 The no-reach easy foot shifter also means you don’t have to uncomfortably lean down each time you want to change the resistance. Overall, there’s not much more you could want from the best under desk bike! Included in TIME’s Favorite Gifts of 2017, it’s no surprise this under desk elliptical machine is equipped with features unseen anywhere else. Designed for optimal comfort, the patented elliptical angles are made to give you ergonomic, comfortable posture. Made of high-quality parts and materials, along with top-of-the-line construction, it will last you well beyond your office time. As the only Bluetooth-enabled under desk Elliptical, it lets you connect to the mobile app to let you track your calories burned, strides, distance, RPM, and time. In addition, it connects to a mobile app, Fitbit, and Apple HealthKit to make sure every aspect of your fitness journey can be tracked, improved upon, and even shared. Having trouble staying motivated? It happens to the best of us. Stay on-track and motivated with groups and the ability to compete with other Cubii-ers worldwide. Designed specifically for use while sitting, you’ll find that your posture will actually improve as a result of using it. The product design is compact and beautiful, fitting perfectly in most work spaces. You won’t have to worry about it falling apart, because it’s made to be sturdy and stand up to any wear-and-tear you may throw at it. Whisper-quiet operation keeps you on task, and also prevents drawing any unwanted or unnecessary attention to the fact that you’re keeping active. Without a doubt one of the best pedal exercisers available! Once you start using the DeskCycle, you’ll find it hard to sit in your seat when you don’t have it available! In addition to losing weight and improving your health, you’ll find that you’re overall in a better mood with less stress, and more productivity when you use your new elliptical! If you’re just getting into the habit of regular exercise or are trying to build up your stamina, this is a great way to do it. Work out while at your desk, while watching your favorite show, or playing games! 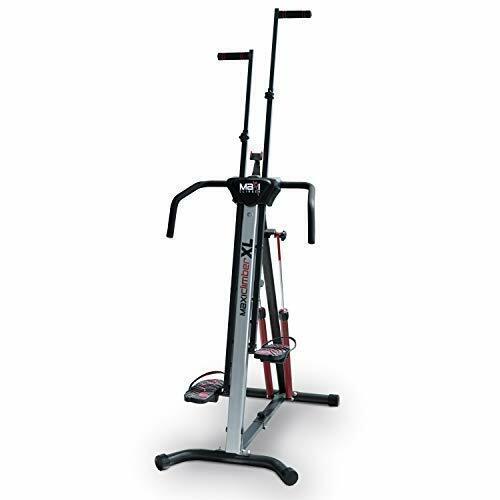 At twice the resistance range of competitor pedal exercisers (8 calibrated levels), you’ll be able to build up your strength and stamina, while also being able to switch up your “routines”. The lower resistance levels can help improve your health while not taking attention away from your work. You can use it under a wide variety of desks, all the way down to a 27-inch desk by someone 5’8” or shorter. In addition, it’s whisper-silent, meaning it won’t distract you, nor anyone else you happen to be using the machine around. 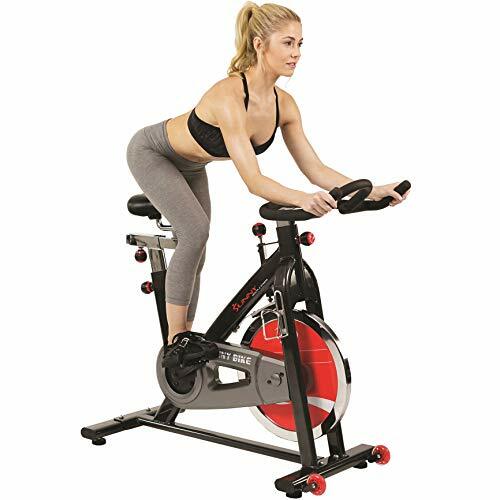 The build is durable, and while it is a bit more expensive than some other pedal exercisers, it’s one of the best mini exercise bikes! Designed with versatility and user-friendliness in mind, the Sunny Health and Fitness SF-B018 is one of the best bikes for office use for a variety of reasons. First off, it’s one of the most portable of its size. It comes with a handle for easy portability, along with the fact that it’s only 21 pounds. With oversized, textured safety pedal straps, you can switch up your workout, and use them with either your feet or your hands! If you want to work out your arms, simply place the machine on top of a desk or table! 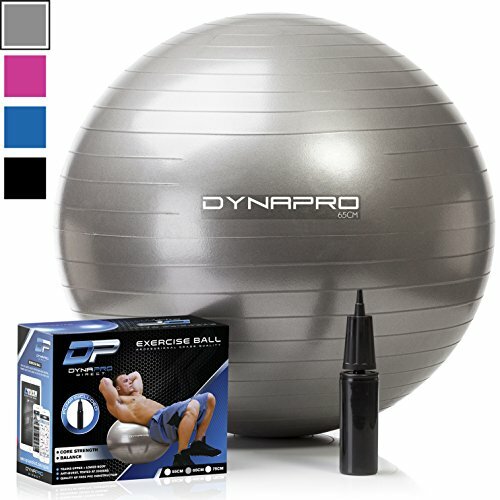 The 8-level micro-tension controller allows you to truly customize your workout at your pace, and also make it more difficult as your stamina grows. The quiet magnetic system is also quite reliable, and comes with a AA-powered LCD display that shows calories, ODM, time, speed, and distance for your convenience. The materials which the elliptical is made of offers both sturdiness and stability, giving a great workout. The FitDesk Under Desk Elliptical White is very similar to the model mentioned above, but there are some notable differences. 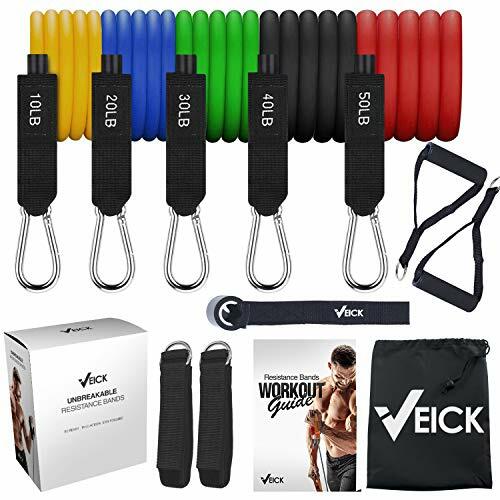 The similarities include the 8-position magnetic resistance so you can adjust it how you like or have the ability to vary your workouts even further. 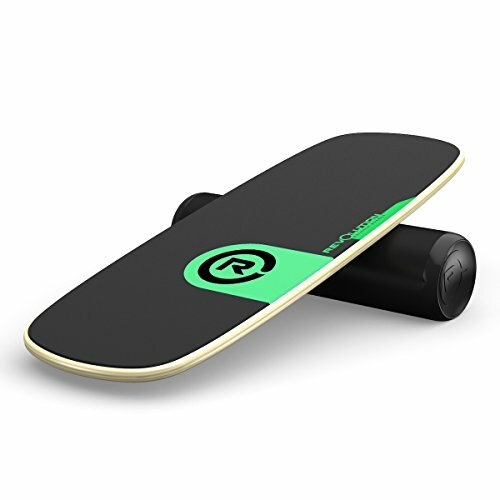 The lowest pedal rotation height is 8 inches, which is very close to the other model, and works with desks 25 inches and up, which is just an inch lower than the other allows. They also both have a foot-shifter for hands-free, easy adjustment of resistance. The digital meter with a 6-function display also comes with a desk stand so you can view and track your exercise stats without having to bend down or squint your eyes. A heavy flywheel is included in the construction to ensure high performance, and silent performance. Perform a fluid, natural forward or backward motion, all while ensuring comfort and efficiency. In addition, the machine is quite compact and easy to keep under most desks. While still relatively lightweight, it’s slightly heavier than the pedal exercisers on our list but if your looking for the best compact elliptical, it would be hard to go wrong with the FitDesk! If the Cubii Pro is above your budget or you just feel like you don’t need that many features, the Cubii Jr. is an excellent alternative. If features all the essentials of the Pro version, while making it available at a more affordable price. Featuring a built-in, easy-to-read display monitor, you can track your calories, distance, RPM, and strides with ease. Just like the Pro, the Jr. features 8 resistance levels, perfect for increasing your workout intensity and to make sure you are consistently improving. With an ergonomic design, it’s specially-made to ensure your posture is in a healthy position, while still feeling comfortable. If you have joint problems, you’ll love how low-impact this machine is. Aside from that, the design just looks attractive. With all that being said, it’s no wonder why it won the 2016 Good Design Award, and was included in TIME Magazine’s Favorite Gifts of 2017 list. All in all, if you don’t mind going without Bluetooth connection, then we highly recommend the Cubii Jr. So, you’ve gone ahead and read all about the best under desk ellipticals, and you’re still not 100% sure about which one to get. That’s okay! If you’re a bit on-the-fence about your selection and aren’t sure why to choose a particular machine, then we’re here to help. We’ve gone ahead and created a buying guide to ensure you’re completely happy with your purchase, and are bringing home the perfect one for you and your exercise needs! This is a point often overlooked by many. Many think that they’re just going to take their new trainer to the office with them and leave it there. This is rarely the case, though. Once you begin using your elliptical trainer, you’re going to start to feel weird sitting down and not using it. Eventually, you’ll want to use it in your workplace, but also carry it with you to-and-from your home so you can use it whenever you’d like. While they’re all designed to be used under your desk, not all of them are compact or easy to transport. Some of them are downright heavy and bulky! However, most of those on our list are quite easy to carry with you, and are lightweight and compact. Most of the machines you see are at least going to look like they’ll hold up to a good beating. However, there are quite a few out there that you’ll need to steer clear of due to them having a tendency of breaking down. You don’t want this to happen, especially when it’s a piece of equipment that you’re carrying outside of your house, and would just be a hassle. 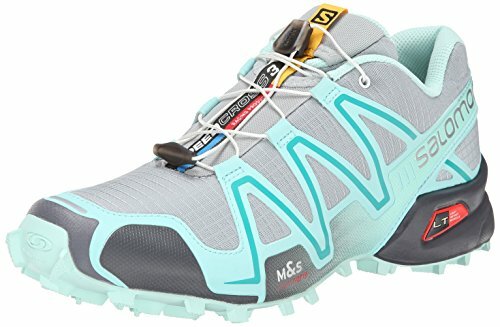 With that being said, make sure your new trainer is built to last, and make of high-quality, durable materials with a great design. At first glance, you may assume that each one of these products performs relatively similarly. I mean, they’re just pedals, right? Actually, there’s much more that goes into it than that. Depending on the machine you use, you’ll have a different experience. You’ll want to select one that features an ergonomic design to make sure your joints are moving properly and efficiently, as well as works to help give you the best posture possible without making you uncomfortable. Look for gripped pedals, so that your feet don’t slide around while you’re pedaling away, no matter the speed or force. It’s also a nice addition if a product can give you both the option of forward and backward pedaling so you can work your legs all-around. We highly recommend that before you even start looking at products, that you set a realistic budget for yourself. What amount of money would you feel okay spending? We want to try and minimize any buyer’s remorse, and oftentimes, even if someone gets a product they love, but spent what they consider too much money on, they can feel regret. That’s why we recommend doing this. The machines on our list vary widely in price, so you’re sure to find something that suits your budget. Think about what you absolutely require in a trainer, and what you would consider “extra”. After that, base your needs on those requirements, and find an under-desk elliptical that will fit into them. The level of noise your new elliptical produces can make all of the difference. Most likely, you’re not going to be using it in a place that’s already noisy, or one where you’re the only person there. Even if you are, the noise of a loud machine can distract or annoy you. If you’re using it in an office environment, you’re going to want a product that doesn’t bother anyone else, or draw attention to the fact that you’re actually using an elliptical under your desk. If you’re using it at home while everyone else is asleep, then you’re also not going to want one that’s going to wake them up. Every single product on our list features very quiet operation. You’ll definitely want to take into consideration how tall your desk is, and how tall you are. Most products will list the lowest desk height you can use with your new trainer, depending on your height. You don’t want to get your new elliptical only to find out that your knees hit your desk every time you use it. That’s not fun, and it’s not functional. When we say “extras”, we’re referring to features that aren’t really necessary to being one of the best under desk ellipticals, but definitely have the ability to make it a better experience. In this case, we’ll refer to things like Bluetooth compatibility, smartphone, or WiFi integration. This can make a world of difference for you in terms of accomplishing your goals. The only trainer with Bluetooth integration, is the Cubii. You can link it up to the app on your smartphone, and use it to form groups or compete with others around the world. This can have a huge effect on you reaching your personal goals, and also make it more fun. You can even link it to your Fitbit or Apple Healthkit, to track your weightloss, calories burned, and so on. We’ve gone ahead and compiled a list of all the most frequently asked questions to make this as easy as possible for you. Q: What are the benefits of using an under desk elliptical? A: There are countless benefits! Improved cardio, less joint pain, focused lower-body exercise, improved mood and energy, and so much more. Not to mention the sheer convenience of being able to exercise at your desk! Q: How many calories can you burn with an under desk elliptical? A: This will vary depending on your resistance level, RPMs, and weight, but more or less, approximately 100 to 150 calories per hour. Q: Can I easily transport my new trainer to-and-from the office and home? A: Yes! While some trainers might be heavier than others, they’re all quite easy to transport. Some fold up easily, and some feature handles so that it’s not awkward or difficult to carry. Almost all of them are under 30 pounds, as well. Tip #1: Make sure your desk is low enough. We mentioned this earlier, but we really feel we need to hammer this point in. If your desk is too low, it’s simply not going to be a viable option for you to use it under your desk. Tip #2:Make sure it has the features you need. 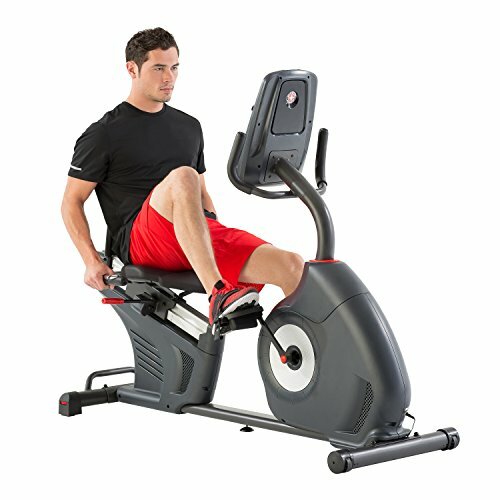 If you want a more complete exercise routine, make sure the machine has the ability to pedal backwards and forwards. Some only let you pedal forward. In addition, there are a couple out there that let you use your feet or your hands to pedal, giving you the ability to work out your arms, too! Tip #3: Make sure it’s light enough for you to carry. You definitely don’t want to get yourself into a situation where you can’t even carry the product to your desk to use it, or to your car to take it home! If you can comfortably carry 30 pounds, you can carry one of these. Video: Sample workout routine with an under desk exerciser. Now that you’ve gone ahead and read pretty much everything you need to know about the best under desk ellipticals, in addition to reading our reviews about each of the top products, we hope that you’ve come to make the best decision for you and your lifestyle needs. Once again, we thank you for visiting us, and we’ll see you again soon! The Stamina In-Motion Elliptical Trainer is our Editors Choice for the best under desk elliptical based on price, features and portability.